Camels are one of the animals that you see everywhere in Morocco, especially in the Sahara desert. They are used as a means of transport during desert trips. Camel trekking are one of the biggest tourist attractions in Morocco. All travel agencies in southern Morocco offer camel rides in the desert, as well as the locals themselves. It is also a different way of knowing places far away from major cities and main roads. Most people have never ridden a camel. The first adventure is to get a few meters from the ground. Camels are trained and therefore docile, so you should not be afraid. 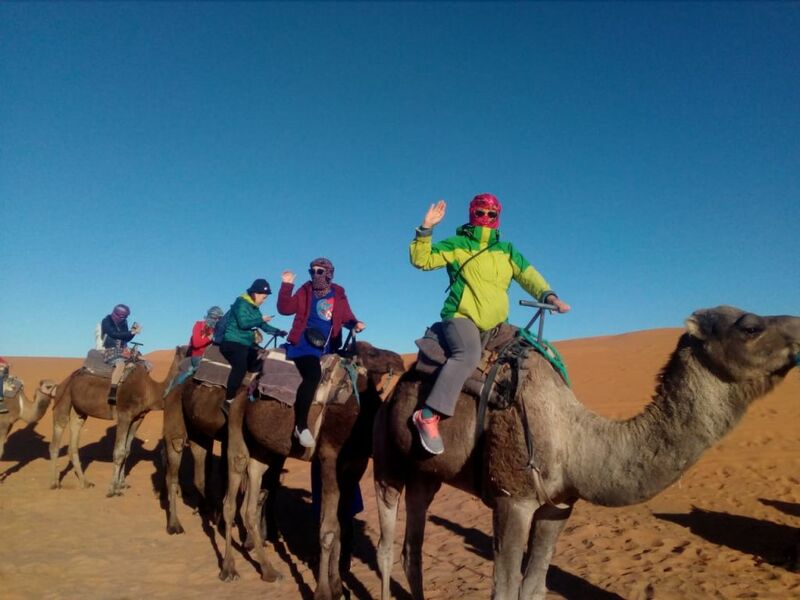 There is a wide variety of camel trekking tours in Morocco. For people who wants to just experience camel ride for a few hours, they can go to the Agafay desert in the region of Marrakech. There is also multi-days trekking. Durring this kind of trekking, you explore many hidden berbere villages in the desert and you will discover a their culture and share the life with them. 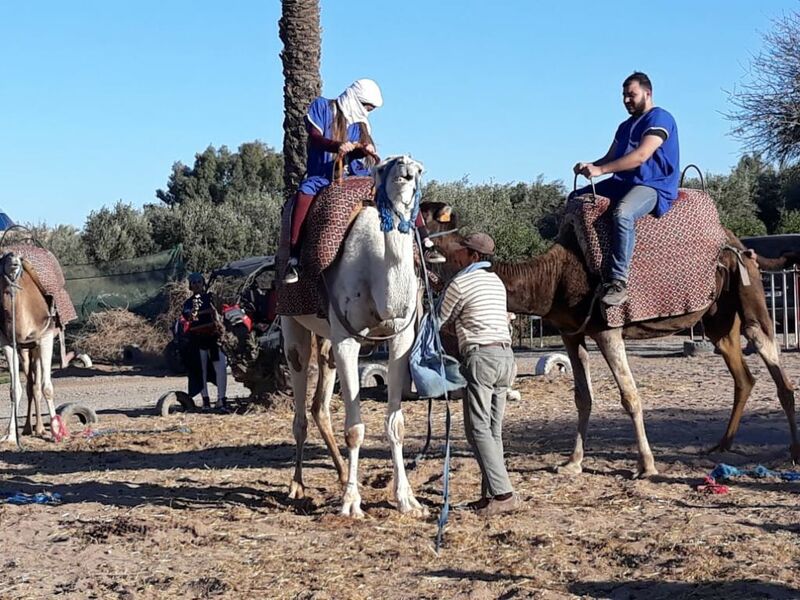 If you are in Marrakech and would like to experience camel trekking in Marrakech, then you have tow possibilities: Camel ride in the Agafay desert or in Marrakech Palmeraie. A place where lovers of outdoor activities will find happiness and freedom to practice their favorite sports in large spaces. Quad rides, horse riding, mountain biking, guided camel rides, cooking classes and curious courses of ancient Arabic calligraphy. There is also a short 9-hole golf course designed for the desert and workshops on fencing, yoga, belly dancing, pilates, meditation or advance art booking. Marrakech Palmeraie is another place where there are a lot of camels for rent, for walks and short excursions. This is the ideal place for people who doesn’t wont to leave marrakech. One of the most unforgettable experiences you can experience in Morocco is to camel trekking in the impressive dunes of Merzouga. Merzouga is the most famous village of Erg Chebbi. It’s at 20 kilometers from the border with Algeria and 45 from Erfoud. It is a sub-Saharan region increasingly visited by tourists seeking to experience something authentic on Morocco desert. The beaches are also included in the camel trekking tours in Morocco. 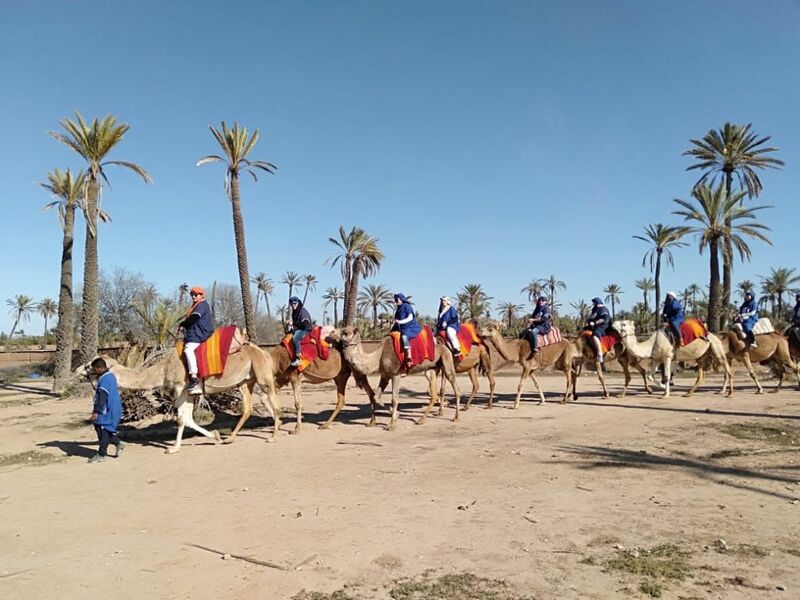 There is a lot of trekking lovers that rides camels in the coast areas of Essaouira, Agadir and Saidia, among other beaches, in order to enjoy shorter trips. The camel rides in the desert are, of course, harder. Camel rides on the beach can cost from 10 to 15 €. The price of safaris in the desert dunes will depend on many factors. First of all, you have to decide whether you are going for a day trip or whether you are going to spend the night in the desert. 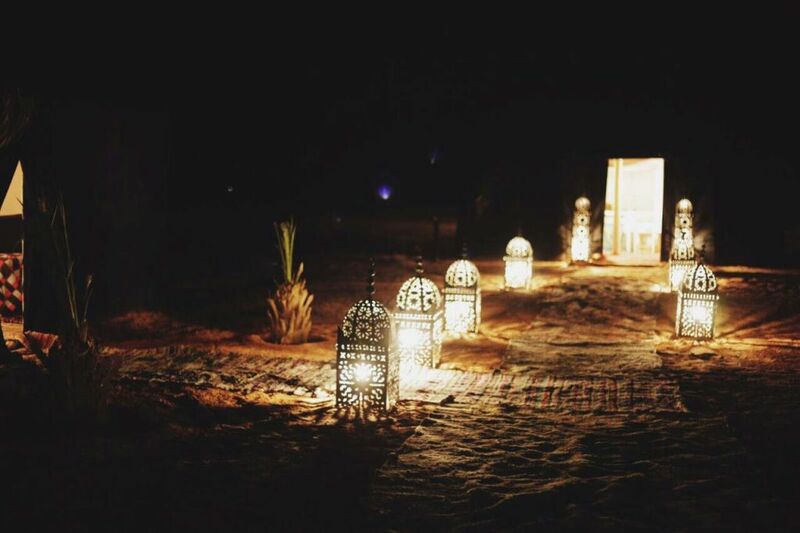 If you will spend the night in tents in the desert, you should wear warm clothes, because in the desert, the temperature drops a lot during the night. The experience will be unforgettable! These safaris include a desert night and all meals. They can cost from 30 € to 60 € or 100 €, depending on the comfort of the place where you spend the night. It is recommended to take light clothing that covers the body to avoid getting burning by the sun. You also should to bring Solar cream, warm clothes for the night, a lot of water so you do not get dehydrated and a hat and prepare the camera because there are a lot of pictures you want to immortalize. Our experience and our relationship with many different partners in tourism world allow us to offer you the most affordable desert tours and day trips from Marrakech. Planing your tours, full-day trips or trekking during your holidays in Marrakech? We do this with sincere enthusiasm.